Is Your Coaching Qualification an Asset? A guest blog post from Alisa Barcan, mentor, coach and chartered accountant. If you are reading this blog post you either have a coaching qualification already or you are about to get one. Congratulations. Your hard work and dedication might lead to owning an asset. I say ‘might’ because not all coaching qualifications are assets. In fact, they all start as costs or liabilities and it is up to you to ensure they become an asset. Prior event – the transaction or event giving rise to the entity’s right to, or control of, the benefit has already occurred. Let’s apply the above theory to a real-life situation and assume that Mary is a qualified coach who obtained her qualification one year ago. The entity, in this case, is Mary and the resource or benefit is the coaching qualification. If Mary is to classify her qualification as an asset, she needs to be able to demonstrate that it meets all the three criteria above. If the coaching certificate/diploma/degree is in her name and she can use it for her benefit, to enhance her CV or social media profile for example, then Mary has enough control over the resource in order to satisfy the first condition. Prior event. If Mary has already paid for the coaching qualification in full and her certificate/diploma/degree has been issued (i.e. is not pending) then Mary satisfies the second criterion too. Future probable economic benefit. The third condition is a bit more difficult to prove due to the words ‘future’ and ‘probable’. I don’t want to get too technical and start talking about long-term assets or the difference between probable and possible so let’s assume that it is Mary’s intention to start using the qualification immediately and obtain benefits from it. If Mary has already started to generate income from coaching, then she could class the qualification as an asset because it is producing an economic benefit (money). There is a point to be made about how much income she is generating, what are the costs she incurs in relation to coaching and how soon she will recover the investment, but that is not the subject of this article. What if, however, after one year of obtaining the qualification Mary is not generating any income from coaching? The third condition above would not be satisfied and therefore the qualification wouldn’t class as an asset. If Mary borrowed money to pay for the qualification and she has not repaid the loan in full then the qualification would class as a liability. If the costs of the qualification have been paid in full then it would be a sunk cost. Let’s look at these new terms. 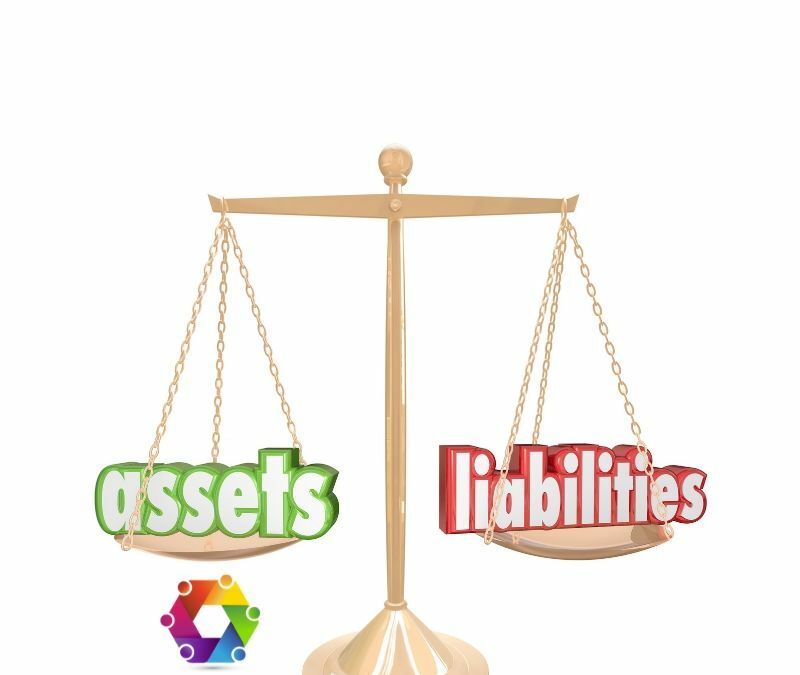 A liability is a present obligation of the entity arising from past events, the settlement of which is expected to result in an outflow of resources embodying economic benefits (IASB, 2015, F.49(b)). In other words, a liability is a debt which has not yet been settled. A sunk cost is a cost that has already been incurred and cannot be recovered. I assume that if you are reading this post you intuitively know, even if you don’t use these terms, that your coaching qualification is probably either a liability, a sunk cost OR a poor performing asset. You have invested heavily in your training in order to help other people and make a difference via your coaching but although you have reaped the benefits of gaining knowledge and a title, you are yet to reap significant economic benefits from your qualification. In fairness to the institution who awarded you the qualification, they did not commit to the latter. They delivered on their promise to teach you about coaching theory and techniques, but it is up to you to turn that knowledge into economic benefits and that can only be done by working with clients who are willing to pay the market price for your services. Your coaching skills are a must, but their role only comes into play once you have acquired the clients in the first place. That is what we teach at The Coaching Revolution and we are proud to see the coaches we work with turn costs or liabilities into assets. If you are thinking of joining us and are still on the fence, I want to leave you with a final tip: ignore sunk costs. If your coaching qualification represents a cost which has already been incurred and is not recoverable then it makes no economic sense to include it in any of your future decision making. Whether you decide to spend more money on your coaching business or not does not change the fact that you have already paid a certain sum in order to obtain your qualification. Microeconomic theory says that you, as a rational being, should only care about future costs and benefits when making a financial decision but behavioural economics knows that you won’t. As a Financial Coach I have seen this tendency for loss aversion with my clients, but the reality is that a sunk cost is different from an economic loss – perhaps a subject for another article. For now though, think about this: if your coaching qualification is a liability or a cost, are you able to turn it into an asset and if so, what do you need to do in order for that to happen? If you want to have a chat about how we do that within The Coaching Revolution please book a call with us, you’ll find our diary here. IFRS for SMEs. London: IASB (International Accounting Standards Board). 2015.